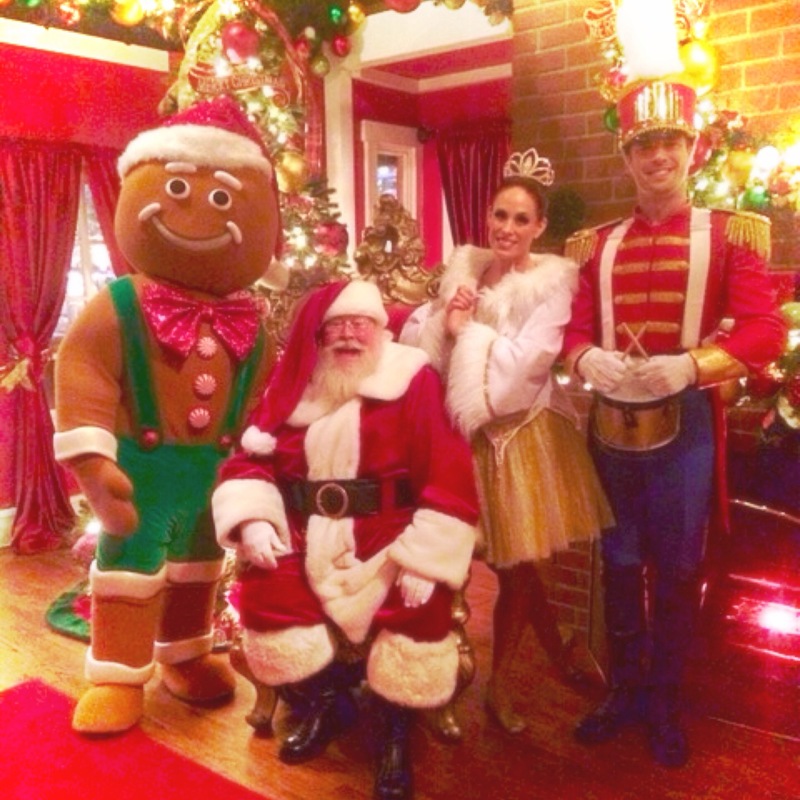 Pictures with Santa are a family tradition for many. Here are the best places to go for a photo you won't soon forget. Ah, Christmas. Is there a better time of year? It's the season of Christmas lights, decorating your own Christmas tree and eating all the pumpkin pie you want. But what makes it a truly magical time of the year are the pictures with Santa that will surely fill your social media feeds. 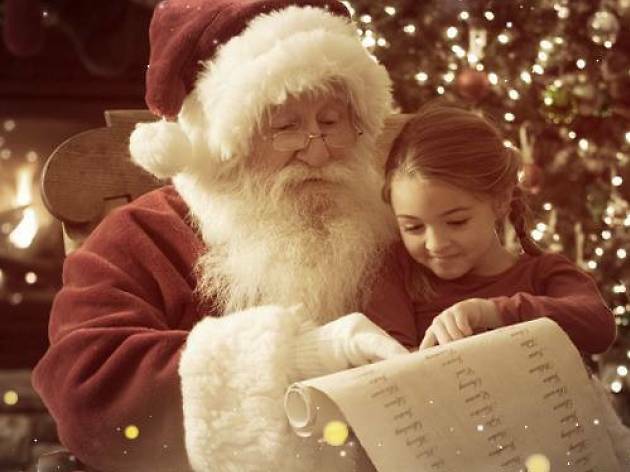 Yes, there are the aww-inducing photos of adorable little kids so excited to meet the jolly man in red. But what's even better are all the photos that go terrible wrong—when the snap happens mid-scream or just as the tyke is ripping off Santa's beard. 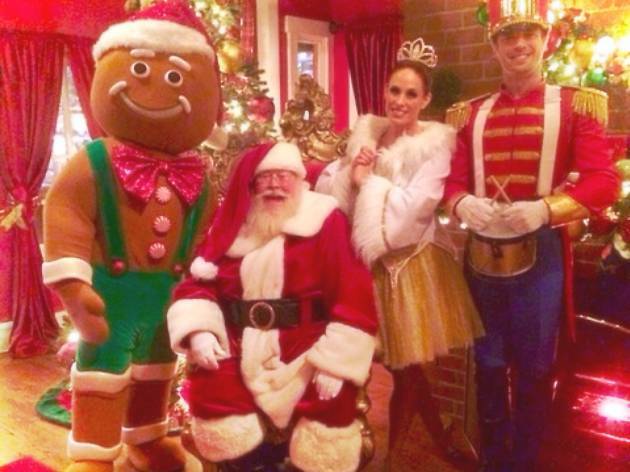 Luckily for all of us, there are plenty of places in L.A. for pictures with Santa. So please, parents, keep the photos coming. 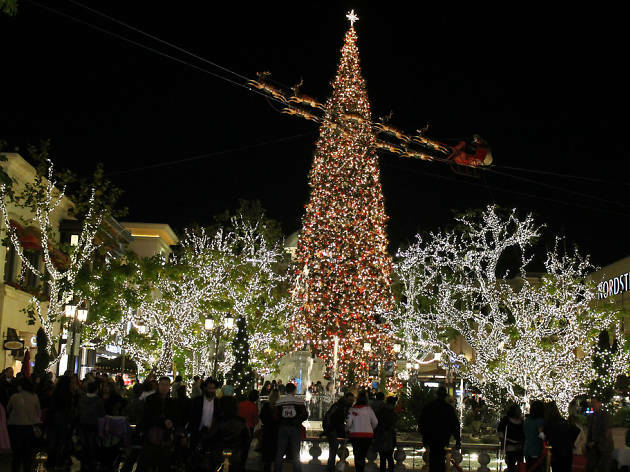 The Grove does Christmas right, with a big, beautiful tree and the occasional snow fall, so it's no wonder the lines to get a picture with Santa can be pretty long. While walk-ins are welcome, it's recommended you make a reservation, which can be made here. Packages range from $30 for one 5x7 print and four wallet-sized images to $70, which includes a flashdrive with all the images on it and a video as well. Santa is available through Christmas Eve. Times vary each day, so check his schedule here. 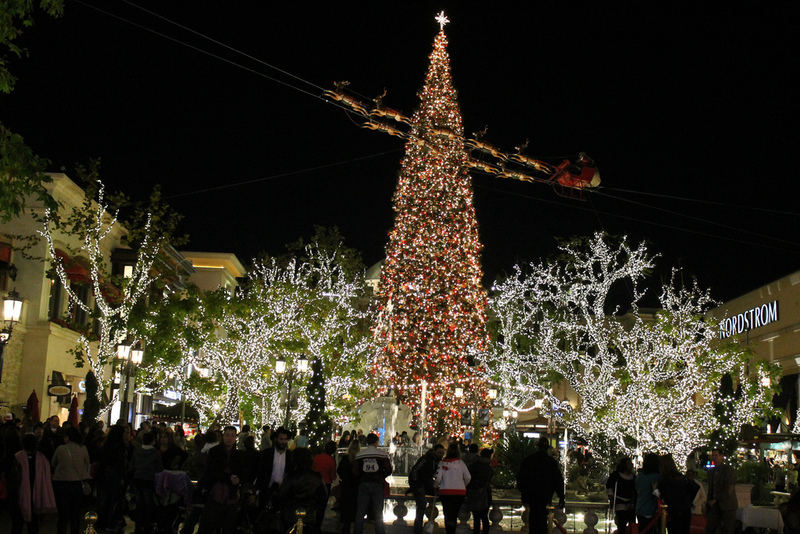 Much like the Grove, the Americana allows both walk-ins and those with reservations to take pictures with Santa inside his North Pole house. There are a variety of packages, ranging from $30-$70. 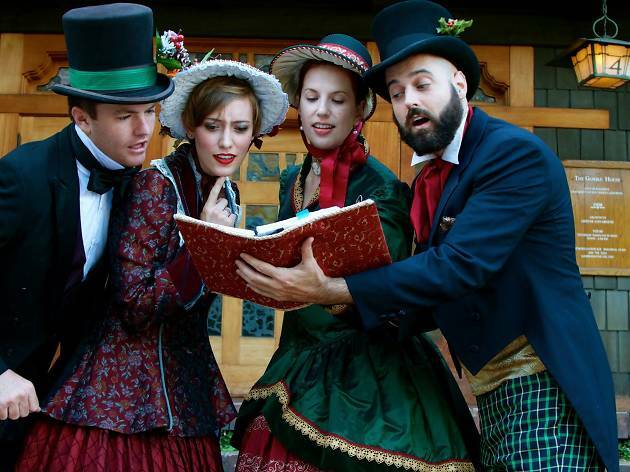 Maybe you can even get a little shopping done while you're there, or catch a song or two by carolers who will be around throughout the season. Santa is available through Christmas Eve. Times vary each day, so check the schedule here. 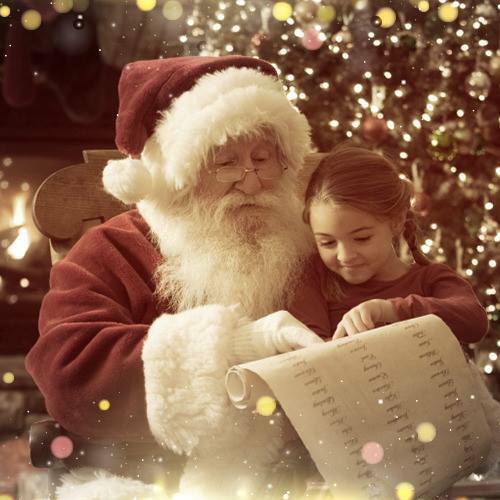 Not only can you take your little ones to see Santa here, but your furry pets are also welcome to join you to make it even more joyful. 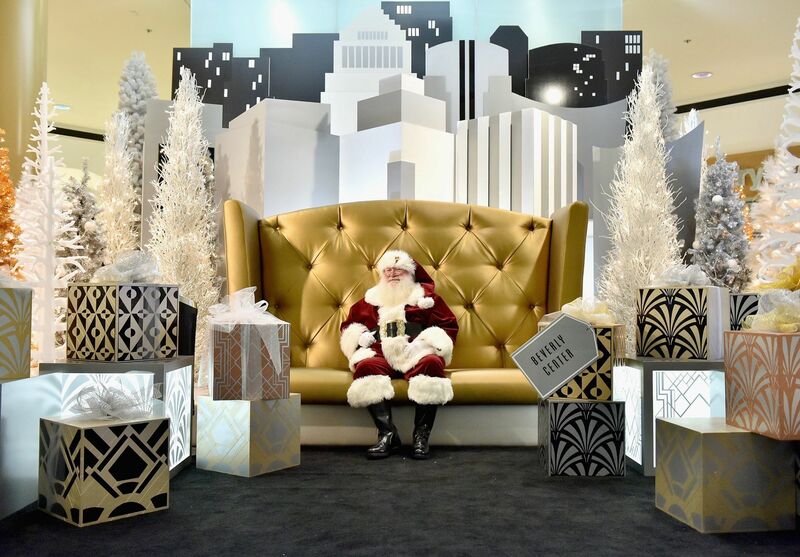 Photos with Santa take place through Christmas Eve, and three of those nights are open to pets as well—Dec 7, 14 and 21 from 5-8pm. Reservations are available and there is an early-bird price of just $29.99 available through Dec 8. 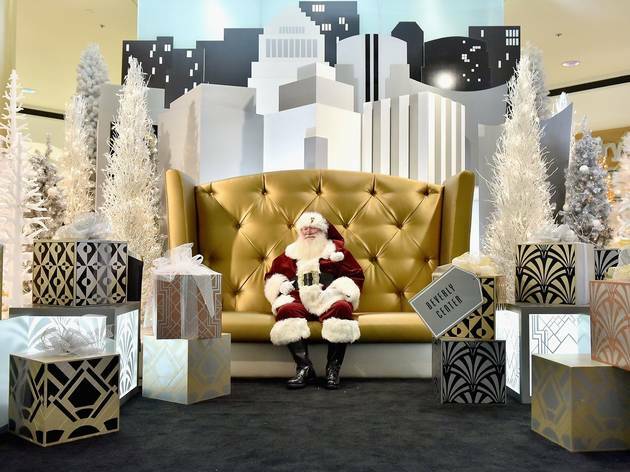 Photos with Santa take place through Christmas Eve, closed Thanksgiving. Times vary, but a schedule can be found here. 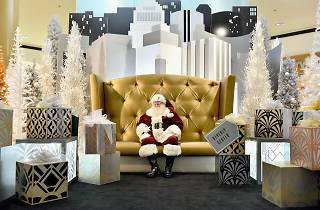 Pictures with Santa have long been a tradition at the Beverly Center, but this will be the first year they take place in the newly remodeled mall. These Santa photos up their game a bit with options for digital add ons. This year, the Beverly Center is also offering Lovepop Cards, which have 3D paper sculptures in them. Come around 4pm, and you and your children may just be greeted by Santa and a fresh plate of cookies. Packages vary from $23-$53. Pictures with Santa are available through Dec 24. Times vary, so be sure to check the schedule here. Looking for more Christmas activities? 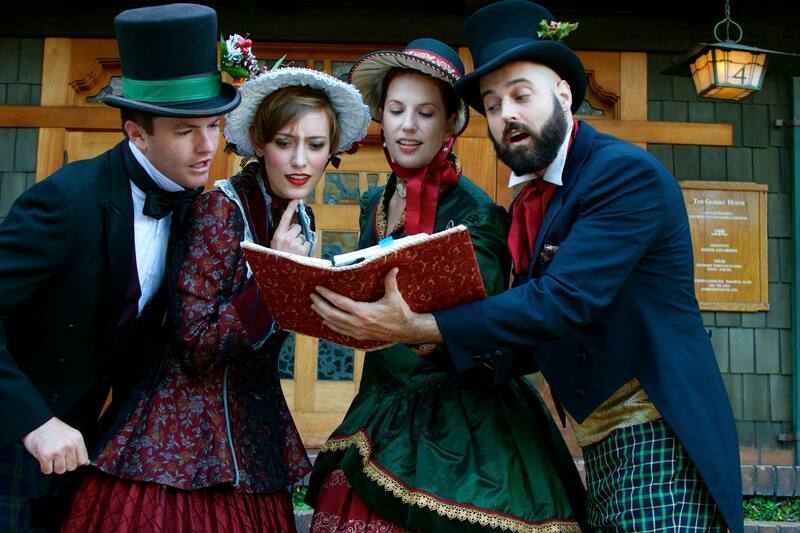 Belt out classic Christmas songs or hum along to traditional hymns at these performances.